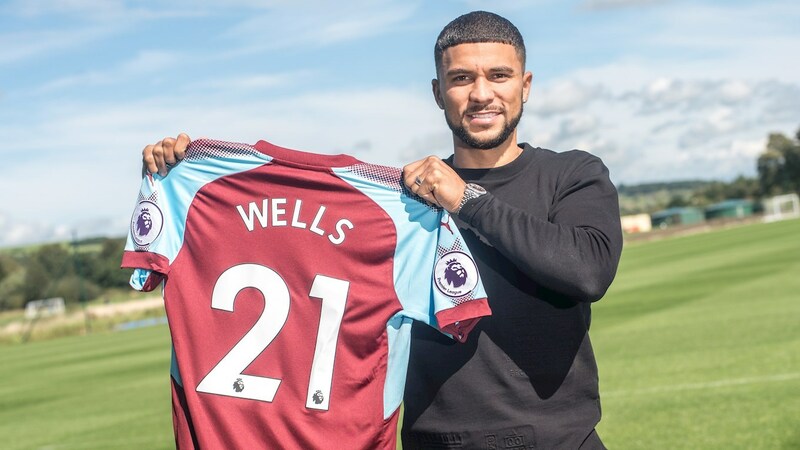 Well, Burnley have just gone and gained themselves 60,000 more supporters after the news that Bermudian star Nahki Wells has signed for them on a three-year deal. From Dandy Town, to Bermuda Hogges, to Eccleshill United, to Carlisle United, to Bradford City, to Huddersfield Town and now to Burnley. It’s been some journey, a journey that surely still has a lot more in store. This is a great piece of business for both parties: the club are getting an effective goal scorer and all-round hard worker who is eager to prove himself in a new division while the player is given a fresh start. If – or rather when – Wells does play in the Burnley shirt for the first time, he will become only the third Bermudian to feature in the English Premier League and the first since 2003. Kyle Lightbourne at Coventry City and Shaun Goater at Manchester City were the other two to achieve this feat. Legendary footballer Clyde Best played in the old First Division with West Ham. I think many would agree that the 27-year-old deserves his chance in the top-flight having diligently worked his way up the footballing ladder in England. He was one of the standout players at Bradford City, reaching Wembley on two occasions, and played a significant part in Huddersfield’s promotion to the Premier League last season. Now this is his chance to show what he can do on one of the biggest stages there is. The question is can Wells deliver in the Premier League against tougher opposition? According to sports data service Opta, he has scored an impressive 10+ league goals in each of his last six seasons in England’s top four divisions – 91 goals altogether including the playoffs. If he can maintain and build on that record with his new club, then that will be a very good return for the £5 million fee reported to have been paid by Burnley. He will also offer a different dimension to Burnley’s attack. With Andre Gray having left for Watford earlier in the transfer window, Wells should bring pace and goals to complement the other strikers Chris Wood, Sam Vokes and Jonathan Walters. The Gombey Warrior is currently sidelined with an ankle injury that he picked up earlier this summer. All going well, Wells will make his Clarets and Premier League debut at some point in October, potentially away to Everton or at home to West Ham United depending on the speed of his recovery. And when that day comes, you can bet that the whole of Bermuda will be tuned in. - Sports journalist Nathan Carr previously ran the Home of Caribbean Football, and reports on football throughout the region, and also serves as a guest contributor to Bernews. You can read his past reports on Bermudian football here. Live Updates: Wells & Huddersfield Promoted!